LOS ANGELES, April 4, 2019 /PRNewswire/ -- Emad Rajaie has joined DoubleLine Capital LP as head of the firm's Middle East relationship management. 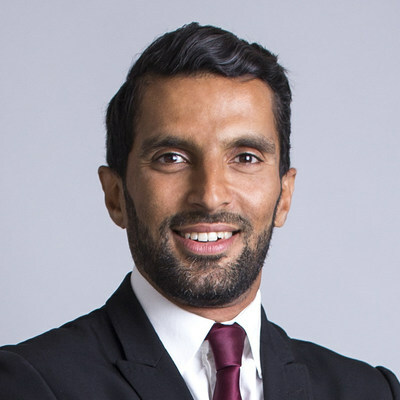 Mr. Rajaie comes to DoubleLine from PIMCO where he worked for 10 years, based in London, and was co-head of the fixed-income investment manager's business in the Middle East and Africa. "The Middle East is a region of strategic importance to DoubleLine," said Jeffrey Gundlach, CEO and chief investment officer of DoubleLine Capital. "In particular, the Gulf states, with their large reserves in U.S. dollars, require the best in investment management services. Thanks to his years serving these clients, Emad is the ideal choice to develop DoubleLine's business in the region." Mr. Rajaie will carry out his responsibilities in Europe and the Middle East, playing a key role in growing the firm's services to institutional investors and their advisors in the region. DoubleLine plans to open an office in the Middle East in the near future. DoubleLine has previously launched programs with regional representatives devoted to developing the firm's client relations in Europe, Japan, Latin America and the Caribbean. "DoubleLine has demonstrated a focused, disciplined approach to risk management which has already gained the interest of key decision makers responsible for protecting and growing the wealth of sovereign states and private organizations in the Middle East," Mr. Rajaie said. "I'm excited to be part of DoubleLine's team and look forward to assist the expansion of our global footprint, particularly in this strategic region." DoubleLine Capital LP is an investment adviser registered under the Investment Advisers Act of 1940. As of the March 31 end of the first quarter of 2019, DoubleLine Capital and its related companies ("DoubleLine") managed $130 billion in assets across all vehicles, including open-end mutual funds, collective investment trusts, closed-end funds, exchange-traded funds, hedge funds, variable annuities, UCITS and separate accounts. DoubleLine's offices can be reached by telephone at (213) 633-8200 or by e-mail at info@doubleline.com. Media can reach DoubleLine by e-mail at media@doubleline.com. DoubleLine® is a registered trademark of DoubleLine Capital LP.